How much of 86 years can you fit into 234 pages of a hard bound book? Not a lot, by the looks of it. 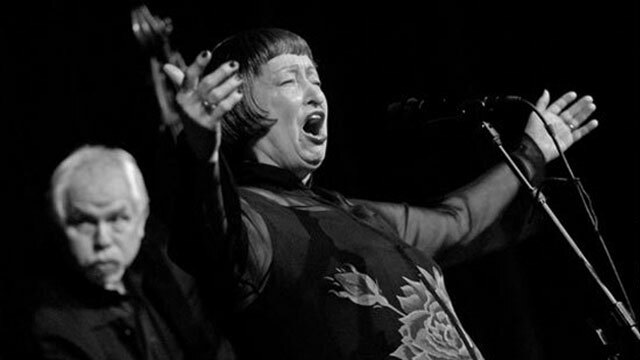 And if we are talking of Sheila Jordan’s 86 years, now that would be well-nigh impossible to even imagine. The legendary vocalist has lived an undeterminable number of years in her wonderful life – a life full of colour and mystique. And who better to tell it than Ms. Jordan’s friend and vocalist (herself), Ellen Johnson? The author is uniquely qualified to write a book about a vocalist, being a vocalist herself—an accomplished one at that—and an educator to wit. 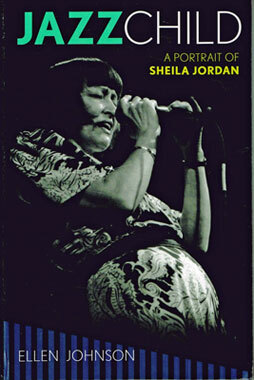 However, could there be anyone qualified enough to write a biography about Sheila Jordan. Ms. Jordan is not merely an 86-year-old vocalist; she is jazz itself and the very epitomé of the oral and the written tradition of the music. Born in motor city, Ms. Jordan was raised in the coal-dust of Pennsylvania. Ears glued to a radio she first heard Jazz—Charlie Parker—to be precise. She not only fell in love with the idiom, but with the interminable dance of Bebop and with Bird himself, whom she was fated to meet as a teenager. It was Bird who baptised her with the idiom and spirit of Jazz, giving her a name that bore an uncanny resemblance to her Cherokee roots: The Girl With Million Dollar Ears. And the rest is, proverbially, history. But I shan’t use this review to tall you her story for I couldn’t do it better than Ellen Johnson. Ms. Johnson describes how blessed a child Sheila Jordan was. This might harken back to the song that Billie Holiday sang, but it was much more than that: it is in fact a truism when it comes to Ms. Jordan. She was truly blessed, overcame poverty and a rather wretched childhood to become one of the most iconic musicians of her generation and the next. But all of this would have remained between Sheila Jordan and the world of music, between her and the listeners of her glorious recordings, that is, until Ms. Johnson was fortuitously brought into the equation. She tells Sheila Jordan’s remarkable story as if she were a weaver, bringing a magical yarn to life in a mythic quilt. The analogy is not lost on Ellen Johnson, who weaves her narrative as a living warp would interlace the weft of jazz. In her gentle manner, befitting Ms. Jordan’s own personality Ellen Johnson brings her subject’s living narrative alive. And into its design is woven the fabled lives of musicians such as Bird, George Russell, Frank Foster and the iconic bassists with whom Sheila Jordon went on to form unique and enduring musical relationships, and, of course Duke Jordan, to whom Sheila Jordan was married and with whom she had her ever-loving daughter Tracey. The book sets the scene for Sheila Jordon’s life in chapter one, which traces the singer’s life in Detroit and Pennsylvania and back to Detroit, where Ms. Jordan was confronted with an almost existential wretchedness, thanks to an alcoholic mother and an absent father. But this very life was made beautiful when the young singer discovered the ineffable beauty of Jazz music, specifically the music of Bird, who effectively became, after her daughter and her best friend Marria Elizabeth Banks, the love of her life. Perhaps, as the book suggests, because Bird is became music itself, he became existentially linked to the singer, who has devoted the rest of her life towards spreading his musical gospel—writing lyrics to his songs; even writing songs that celebrated his life. 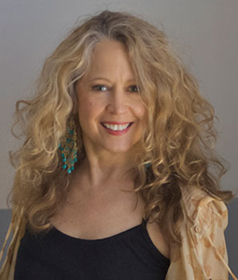 The other aspect of Ms. Jordan’s will to spread the “gospel” enabled her to become one of the most emblematic teachers, who wrote some of the first and most remarkable courses for teaching vocalists. Thus she also became a beacon of hope to aspirational vocalists many of whom she has nurtured into wonderful vocalists in their own right. And there is a reason for the success of her vocal courses: Ms. Jordan did not simply teach the rudiments of vocalastics but brought the art of vocal gymnastics out into a living and breathing aspect of music. In Toronto, where I saw her teach not too long ago, I was witness to this as Bird reappeared in the misty lyrics that passed through Ms. Jordan’s lips, via her heart. Ellen Johnson’s telling of that part of the story brings to life in an extraordinarily vivid way. Towards the second half of Jazz Child Ellen Johnson deals with Sheila Jordan’s unique relationship with Bird, into which the life of the singer’s life becomes inextricably linked with Bird’s pianist, Duke Jordan, whose philandering cause Ms. Jordan much grief. Here we are treated to a story of uncommon courage as the singer brings her daughter into the world, nurtures her even as she battles a drug and alcoholic addiction, triumphs over it and resets her career as if nothing could come between the singer and her music. To this end, Ms. Jordan builds a glorious niche for herself as she practically invents the bass and voice duets. We learn of an almost enduring relationship with Harvie S and the music that the singer and the bassist put down on record. And when this broke up many years later, in a seemingly heartless manner, Ms. Jordan recovered again with her current bass partner, the great Cameron Brown. We also learn of how the singer also cultivated musical partnerships with pianists especially Hod O’Brien and Steve Kuhn. Here Ellen Johnson seems to have crafted a superb narrative of Sheila Jordan’s discography, the timeline of which is detailed in Appendix 1. Another wonderful addition is the ubiquitous lead sheets of some of Ms. Jordan’s music. They seem to accompany her wherever she goes.